It's billed as Canada’s first stroke ambulance, a mobile unit "complete with a CT scanner, clot-busting drugs and the potential to cure a stroke before the patient even reaches hospital." It's billed as Canada's first stroke ambulance, a mobile unit "complete with a CT scanner, clot-busting drugs and the potential to cure a stroke before the patient even reaches hospital." The University of Alberta Hospital and the University Hospital Foundation unveiled the $3.3-million mobile treatment centre Wednesday. "Rather than waiting for the patient to go to the stroke centre, we send the stroke centre out to the patient," said Dr. Ashfaq Shuaib, director of the stroke program at the hospital, in a news release. "We can scan the patient's brain and start clot busting drugs right there in the ambulance. "Reducing the door-to-treatment time is critical in saving the patient's life and limiting their disability. We can actually cure them of the stroke." 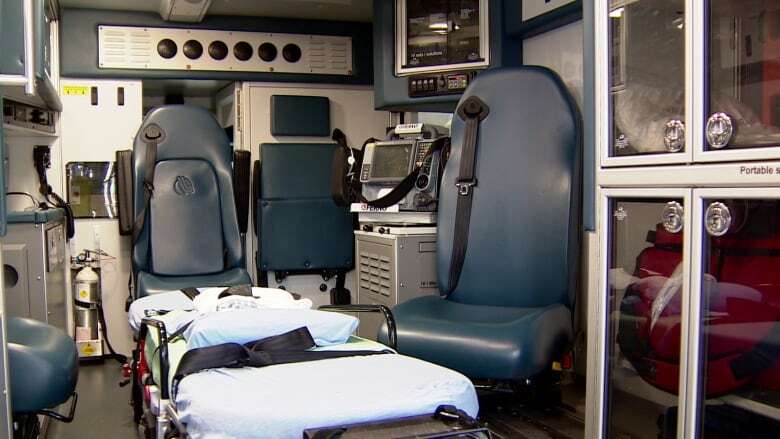 The ambulance, custom-designed for Edmonton and area, will be the "first CT mobile stroke unit in the world to provide stroke patient care beyond the limits of a major urban centre," the hospital said. Nearly one in four stroke patients who received care at the University Hospital in 2014 came from rural areas beyond the Edmonton zone. Researchers will study the impact of the ambulance on patients' treatment and recovery, as well as savings to health care and the community over three years. The total cost of the stroke ambulance is funded by donations.